A Christmas Carol: A Ghost Story for Christmas will take place on Saturday, December 3 at 7pm The Gayton Kirk in Richmond's West End, Virginia. 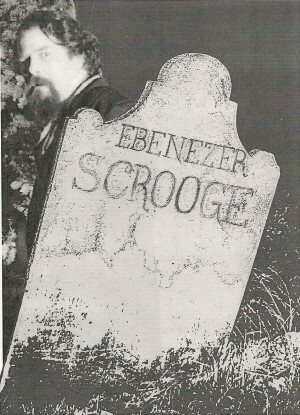 See Scrooge's creator, Charles Dickens, tell the story of the miser's redemption on Christmas Eve. Featuring Professional actor Ray Carver as Charles Dickens in this one-person show. Chicago's Writer to Writer Magazine says "A ripping good yarn. Carver has rediscovered A Christmas Carol as a vital, relevant story." Tickets are Pay What You Wish.